Today in Barcelona, Microsoft has unveiled some very interesting products, with Azure Kinect and HoloLens 2. 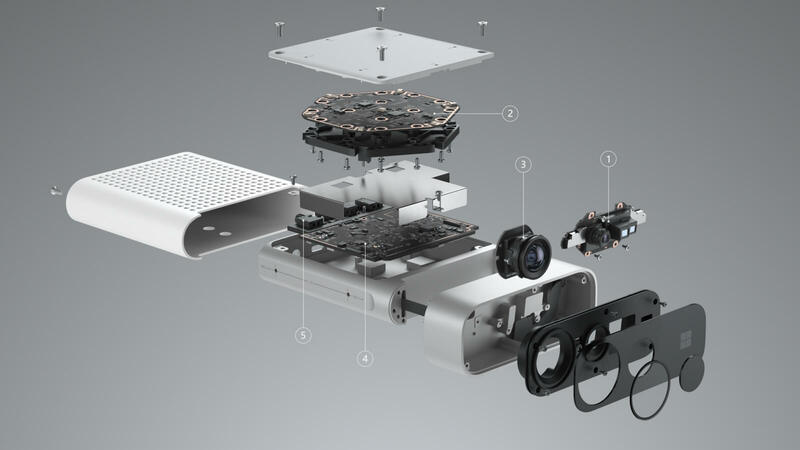 Microsoft is trying to carve out a niche in the IoT world with Azure Kinect, leveraging their premium tools and security models for IoT with first-party hardware, and the updated HoloLens 2 expands the use-cases and technical specifications, while updating usability and comfort. It was almost four years ago that we got our first hands-on with HoloLens and while the first generation headset did have some issues with field-of-view, you could still instantly see the use-cases for HoloLens. In the next four years, Microsoft continued to fill out the software stack for HoloLens, which runs on Windows 10, providing new tools for developers, and new use-cases for clients. HoloLens, especially in the first generation, was never targeted at end-users, but rather businesses where the ability to quickly and dynamically model in 3D, such as architecture, medicine, and NASA, as examples. HoloLens 2 builds on the successes of the first model, while updating it with much newer hardware, and addresses some of the issues that are typical of a first-generation device in a totally new field. During the keynote, Microsoft stated that HoloLens is the only holographic device which can display 47 pixels per degree of field of view. This allows users to read 8-point fonts on webpages, which was the example used during the keynote. That means that for each degree of vertical and horizontal view, there are 2209 pixels available from the MEMS display. HoloLens 2 addresses the biggest issue with the original model by keeping this same resolution, but over doubling the field of view, meaning the new model is just as sharp, but will be much more immersive. The HoloLens team has also made the new model much more comfortable to wear for extended periods. They approached this in multiple ways. They 3D scanned thousands of people’s heads, across ages, genders, and ethnicities, to design the new HoloLens 2 to fit more people comfortably. They’ve also moved the center of gravity of the device rearward, to avoid the front of the headset pulling down and fatiguing the user. In addition, the new model offers Iris scanning Windows Hello authentication, and accurate eye-tracking. Finally, Microsoft has revamped the interaction model for HoloLens. One of the biggest issues with a new computing model such as this is that people going in have no experience on how to use the device. This limits some of the use cases. The new instinctual model has very accurate models of the user’s hand to enable accurate hand tracking, allowing the user to interact with holograms in ways that were never possible before. Buttons, instead of being an abstract gesture, can now be directly manipulated by pressing them. The demo showed one of the HoloLens developers on-stage playing a virtual piano, which is awfully impressive. The use-cases for HoloLens 2 are still business focused, and Microsoft is announcing a new software suite called Dynamics 365 Guides for HoloLens 2, which allows companies to document processes and procedures virtually, allowing new workers to use HoloLens 2 mixed-reality to have step-by-step procedures on new tasks, allowing better and faster knowledge transfer among workers. This is of course just one use-case, but it doesn’t take much of an imagination to see how powerful that can be. Microsoft has never touted the hardware specifications of HoloLens, and they don’t appear to be doing this for the new model either. The original was based on Intel’s Atom x-series processor, which ironically was cancelled by Intel shortly after the original model launched. Some leaks prior to this launch are pointing at the new one being powered by Snapdragon 850, which makes a lot of sense for the performance and battery life needs of a device like this. We’ll try to confirm this. Looks like it is indeed a Snapdragon 850 based device coupled with a second generation version of Microsoft's custom Holgraphics Processing Unit. 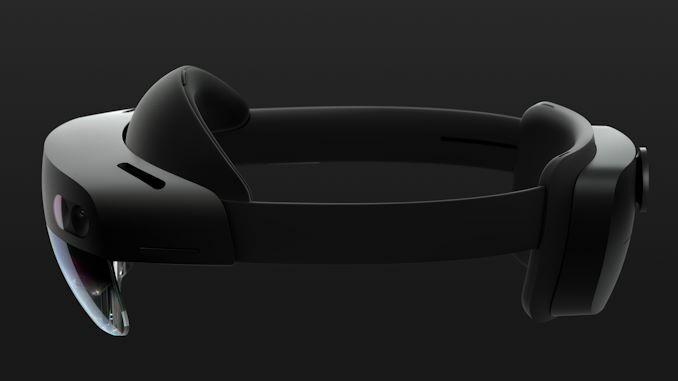 HoloLens 2 is priced at $3500 USD, and will be available later this year. The other product announced today was Azure Kinect, which is a developer kit allowing IoT based devices to use computer vision and speech models based on their Azure Sphere ecosystem announced in August 2018. Azure Kinect will offer both wide-view and narrow-view cameras, as well as the ability to chain multiple cameras together to give a panoramic view. As a developer tool, Microsoft of courses offers SDKs and documentation to provide quick and easy starting points, but as for use cases, there are going to be many. IoT continues to be a driving force behind compute today, and although Microsoft has offered some IoT support with Windows 10 and Azure Sphere, it makes a lot of sense for them to get first-party hardware out as well to ensure that their platforms are utilized. Azure Kinect is available for pre-order today, for $399.